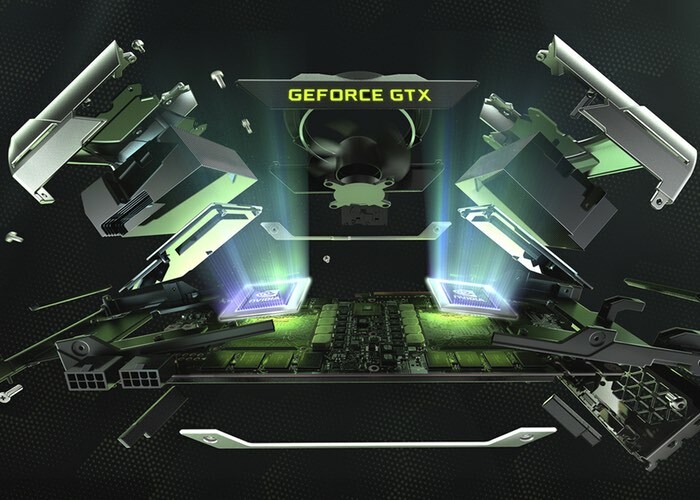 After recently unveiling their new Simultaneous Multi-projection technology, NVIDIA has proceeded with including the new rendering technology into its latest series of ‘Pascal’ graphics cards which have been specifically designed to provide the power for immersive virtual reality experiences. NVIDIA has today announced that the new SM projection technology will soon be available via the Unreal Engine and Unity games creation software and engines. Simultaneous Multi-projection’ (hereafter ‘SMP’) allows Pascal-based GPUs to render multiple views from the same origin point with just one geometry pass; rendering multiple views this way previously would have required a pass for each projection, but with SMP up to 16 views can be rendered in a single pass (or up to 32 projections in the case of rendering from two viewpoints for VR). SMP can be used specifically for VR to achieve what Nvidia calls ‘Lens Matched Shading’. The goal of LMS is to avoid rendering pixels which end up being discarded in the final view sent to the display in the VR headset after the distortion process. For more information on the new Simultaneous Multi-projection technology created by NVIDIA jump over to the official website for details and full specifications.